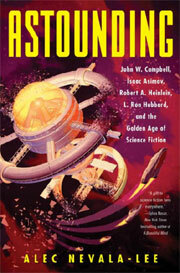 A few weeks ago I reviewed The Book of Silverberg: Stories in Honor of Robert Silverberg, Gardner Dozois and William Schafer, eds., a collection of short stories by well known science fiction authors using Silverberg’s novels and short stories as take-off points. I stopped reading Silverberg decades ago, but The Book of Silverberg made me wonder if I had missed something. Shortly after Silverberg’s Lord Valentine’s Castle (1980) came out, I read it and didn’t enjoy it. It was well written, and the characters well drawn, but it was more fantasy (medievalism) than science fiction, fairly slow paced, and the primary interest was in what another reviewer called its “travelogue” nature. Ten or fifteen years later, I read Silverberg’s novelization (1990) of Isaac Asimov’s classic short story, Nightfall (1941), regarding a planet in a multiple-sun system on which night falls only once every thousand years. 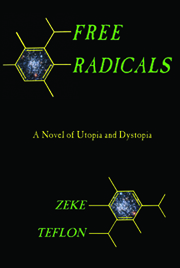 It’s a wonderful short story with a great premise–and is often cited as the best science fiction short story ever written–though how that premise plays out seems highly unlikely. (To describe the consequences of night falling would involve major spoilers. If you haven’t read the short story, it’s well worth reading.) This is acceptable in a short story with such a great set-up, but Silverberg’s novelization doesn’t add anything to Asimov’s short story, just draws it out, and quickly grows tedious. It’s a near-perfect embodiment of Ambrose Bierce’s definition of a novel: “a short story, padded.” So, after Nightfall I gave up on Silverberg. 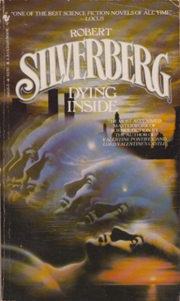 However, after reading The Book of Silverberg last month, I went to one of the local used bookstores and picked up a copy of Dying Inside (1972–recommended in The Book of Silverberg as Silverberg’s best novel) and one of Silverberg’s more recent books, The Alien Years. Dying Inside is also a wonderful exercise in descriptive prose. The setting for most of the book is the late 1960s, and Silverberg describes that decade’s counterculture vividly and accurately; among other things, he provides the best description of an LSD trip I’ve ever read. He also makes extensive use of New York Jewish characters and culture, and the world and people he describes are comparable (minus the humor) to those used to such good effect in the works of Philip Roth and Woody Allen. In sum, Dying Inside is a masterpiece of description and character development. It’s depressing, but it’s a masterpiece nonetheless. Then I turned to The Alien Years (1998), which concerns occupation of Earth by telepathic aliens. For the first hundred pages or so, it seemed as if it was written by a different author. It’s verbose (488 pages versus Dying Inside‘s 200 pages), there are so many characters it’s difficult to follow who they are, and that problem is aggravated by having several of the characters in this multi-generational novel have the same first name, Anson. Still another problem is that there are seemingly interminable passages about the relationships of characters you (well, at least I) simply don’t care about–members of the central, multi-generational Carmichael family. Two of the secondary characters are, however, quite well drawn: Borgmann, the loathsome, turncoat computer hacker who aids the aliens, and Khalid, the Muslim mystic, who Silverberg portrays sympathetically. Other strong points of The Alien Years include several descriptive passages, notably Silverberg’s descriptions of the misery of daily life in a small town in alien-occupied England, and his drawn out, suspenseful description of a bombing. The Alien Years was written a few years after the fall of the Soviet Union, and it’s apparent that the aliens in the book are analogous to the Communists. (They even force their human subjects to build concrete walls dividing cities.) However, once having established this analogy, Silverberg does nothing with it. The aliens’ psychology and purposes remain entirely opaque throughout the book. This in large part is why The Alien Years is so unsatisfying. It also underscores Silverberg’s lack of insight about Communism. If you have nothing enlightening to say about a subject, why take nearly 500 pages to say it? Why say it at all? 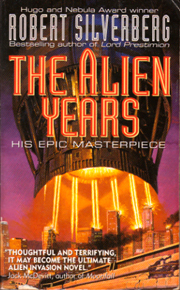 There are several good descriptive passages and a few well drawn secondary characters in The Alien Years, but there aren’t enough of them to make this bloated novel worth your time. I won’t be reading any more of Silverberg’s novels, but at least I can recommend Dying Inside. If you like powerful character studies, you’ll probably enjoy it. 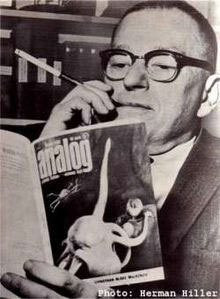 And even if you’re not a Silverberg fan, you’ll probably enjoy The Book of Silverberg, too.